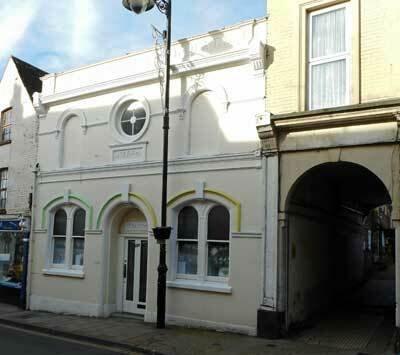 Located at High Street, the Ryde Temperance Hall dates from 1884 and housed 200 people; it was an enlargement of a hall purchase by the Temperance Society about 1872 and used for temperance work. - it was built on the site of a Free Wesleyan Chapel dating from 1860. From 1910, the building was used by the Bijou Cinema which showed silent films with piano accompaniment. Isle of Wight Observer Saturday 29 October 1910 - The Temperance Hall in the High Street has been acquired for the purpose of a cinematograph theatre and is being fitted up with tip-up chairs etc. The cinema closed in 1928 and the building used for various businesses.